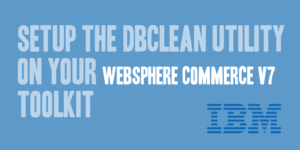 For those who have worked with WebSphere Commerce v7.0, developer toolkit installations do not contain or provide a copy of the DBClean utility. If you want to leverage, test, or develop for the DBClean utility you need to enable the utility to run within your toolkit environment. The WebSphere Commerce Information Center has plenty of documentation on how to create a inbound REST service; however, when trying to create an outbound REST service client, you are left to own research and devices as to an implementation strategy. 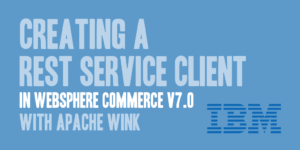 Knowing that WebSphere Commerce v7.0 includes the Apache Wink framework; we can leverage this to create a REST service client that is also based upon Apache Wink, and leverages a framework pattern rather than just pieces of code put together to execute HTTP calls and retrieve the responses. 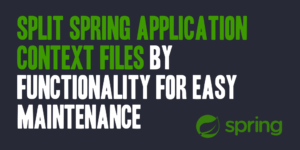 I work with the Spring framework on a daily basis, and the one thing that always bothers me is when projects and people fail to adequately split and maintain their application context files. I’ve work with projects that put all of their Spring beans into the same file with no actual format or structure. That causes a significant nightmare when attempting to maintain, update, or add functionality on top of those files. 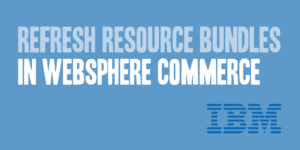 For those that use WebSphere Commerce, especially if you’re taking advantage of internationalization and localization, you’ve used many a resource bundles. You also understand how challenging it can be when you have to consistently modify your properties, only to have to restart your application server in order to view the updates. Here is a solution that will allow you to change your property files, and refresh them automatically without restarting your application server. In the application I am working on, I’m leveraging the SimpleEventBus to register my EventHandler while the page is active. Once the page went inactive due to being added to a history widget, or was removed from the DOM, I wanted to deregister the EventHandler so that it wasn’t active and responding to fired events unnecessarily. 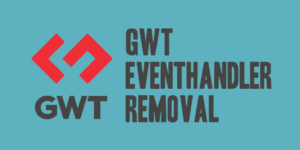 The SimpleEventBus featured an addHandler method that allowed me to register the EventHandler, but it does not have a removeHandler method that allows for the removal of the EventHandler that was registered.